I’ve packaged up a new weekly build and have uploaded it to the usual location. There’s a lot of new stuff and changes this week since I’ve been doing research work over the past while and have only had short chunks of time now and again to do development work. 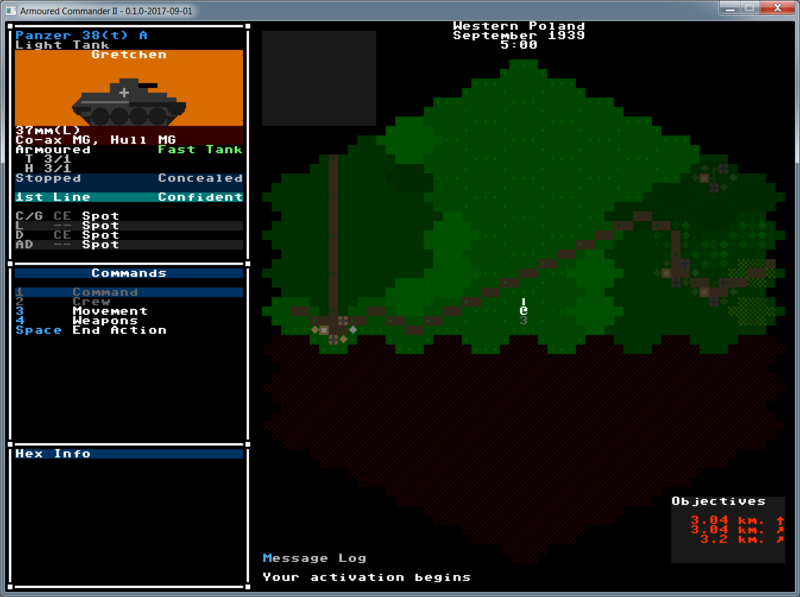 possible for that unit, checking impassible hexes, units occupied by enemies, etc. – bug where enemies outside of LoS can attack player is still happening?